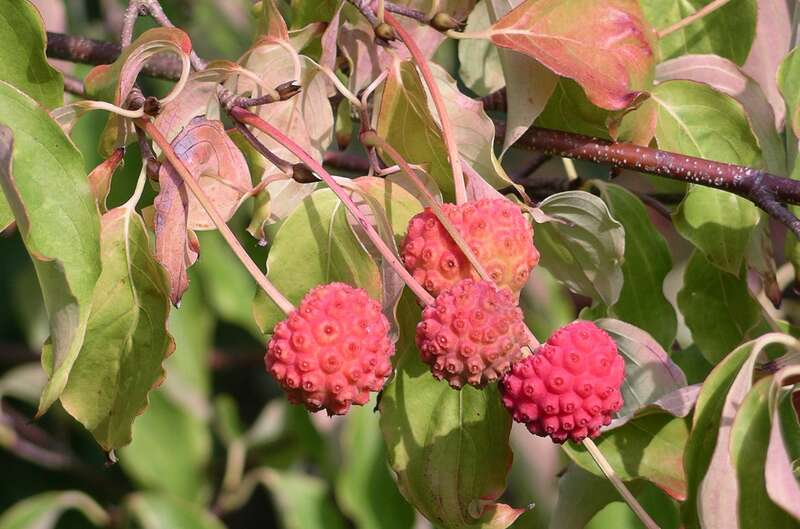 Cornus kousa is a small tree or large shrub, older bark mottled gray and tan, peeling, young stems green often purple-tinged, winter flower buds rounded at base, two silky-hairy bud scales coming to a sharp point, leaf buds sharp, brownish-black, vein scars 3 (use lens), (Petrides 1972). Leaves opposite egg-shaped to elliptic, to 10 cm long, 3 cm wide, dark green above, whitish below, with tufts of hairs. 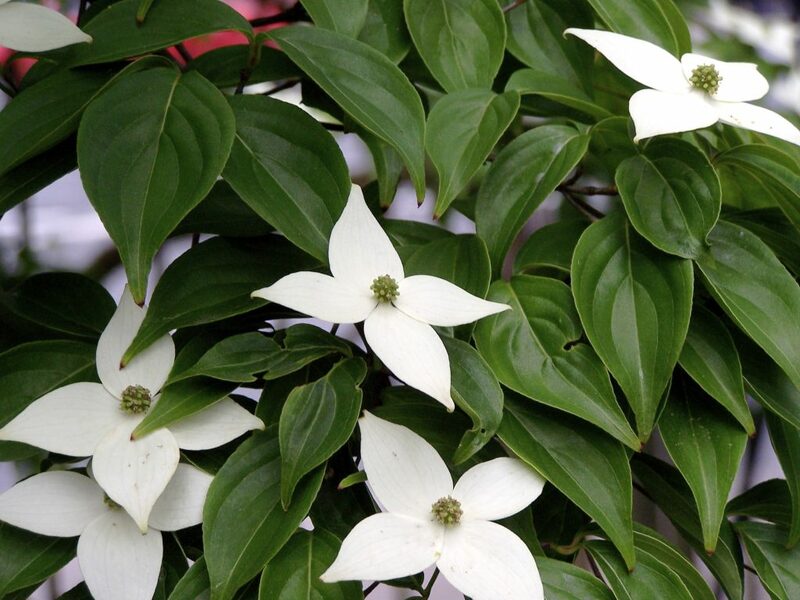 Flowers white, four-parted, very small in a round dense cluster at the center of 4 large, whitish leaf-shaped bracts with pointed tips, lying flat against leaves at ends of twigs; May-June. Fruit fleshy, red with purple bloom, multiple, appearing warty, to 2 cm wide, flesh yellow, edible; Aug- Oct. (Dirr 1990). Habitat: Horticultural, rarely escaping in open or shrubby areas.